Welcome! Are you here because you're ready to feel wonderful? Ready to take some time to nurture yourself? Ready to lose discomfort and gain movement? Ready to learn how to create space and quiet in your mind and your life? Ready to learn how to create ease and comfort in your body, on your own, whenever you need to? You're in the right place. Helping you bring your body more fully to life is my passion, and teaching you how to inhabit your body with more joyful ease and less tension is what I do. 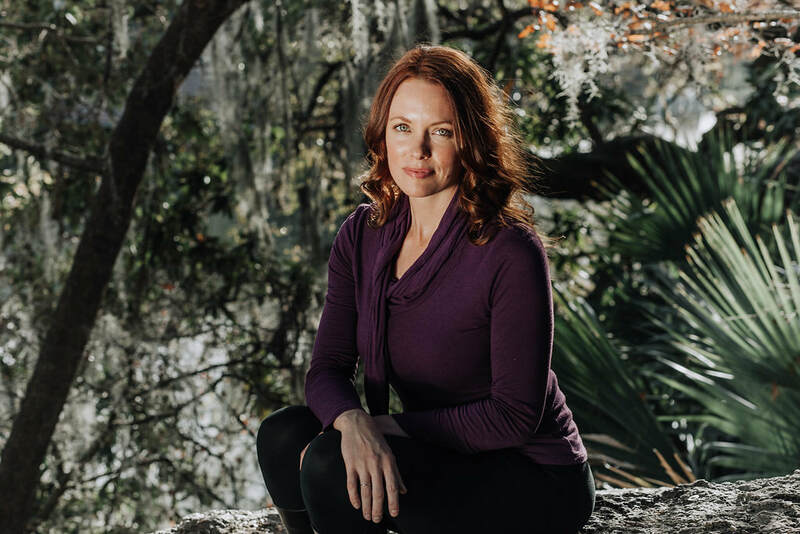 As a Yoga and Meditation Teacher, I am delighted to help you begin your yoga and/or meditation journey and to develop your practice in a private setting. If you're a beginner, if you have injuries or other considerations that make group class attendance inadvisable, or if you're seeking the remarkable growth that can occur with knowledgeable one-on-one guidance, I would be honored to assist you. Don't want to wait for your first appointment to get started? I have a number of guided meditations available to help you begin your practice today! Breathe deeply, practice often, be well. A Licensed Massage Therapist since 1997, I offer energy healing sessions, relaxation massage and Reiki to reduce your stress, ease your tension, and return your body to it's place of bliss. All bodywork treatments include luxurious enhancements to help you feel truly pampered. A Certified Personal Trainer since 2004, I create specialized Move Well programs incorporating movement education, strengthening exercises, stretching and breathwork instruction. Move Well sessions help you increase awareness and enjoyment of your body, retrain daily movements which are causing you pain, breathe in ways that enhance your vitality, and discover methods of movement that you truly enjoy. In my signature combination sessions, I offer customized treatments combining touch, movement education and guided meditation to help you release tension, reduce pain and discomfort, increase awareness of your breath and body, and learn take-home skills to help yourself feel your best every day. In working with clients over the past 21 years, I have found that primarily addressing physical tension and chronic pain with take-home daily movement and meditation practices to be far more effective than bodywork alone. It's an honor for me to support all those willing to engage in their own journey of healing, learning and self-care. I love to support the mamas in my community! As a Certified Prenatal/Postpartum Therapist since 2009 who has worked with hundreds of expecting and recovering moms, I'm ready to offer knowledgeable and skillful bodywork to you at every stage of your pregnancy. Prenatal Massage reduces stress and anxiety, relieves muscular tension, helps to prepare your body for a healthy labor, and feels wonderful! Postpartum massage can help to reintegrate the many recent changes your body has experienced, relieve "new mama" neck, and ease lingering hip and lower back pain. Beyond all this, you'll have a precious hour of quiet time, just for you! My studio is centrally located in Austin near the UT Campus, easily accessible from Mopac Expressway, Lamar Blvd., and Windsor Road. I accept cash, check, and Visa/MasterCard for payment of services, and gift certificates are available here. Contact me today to reserve your appointment. I'm looking forward to helping you feel your very best.